In the UK and Ireland this orchid is confined to a number of sites in Northern and Southern Ireland, Scotland, and strangely, to one isolated site in Dartmoor in Devonshire. It is both more common and widespread in North America where we have seen it in both Yellowstone National Park and in the Rocky Mountains National Park. How this orchid has come to have a distribution with colonies so distant from one another is very interesting. 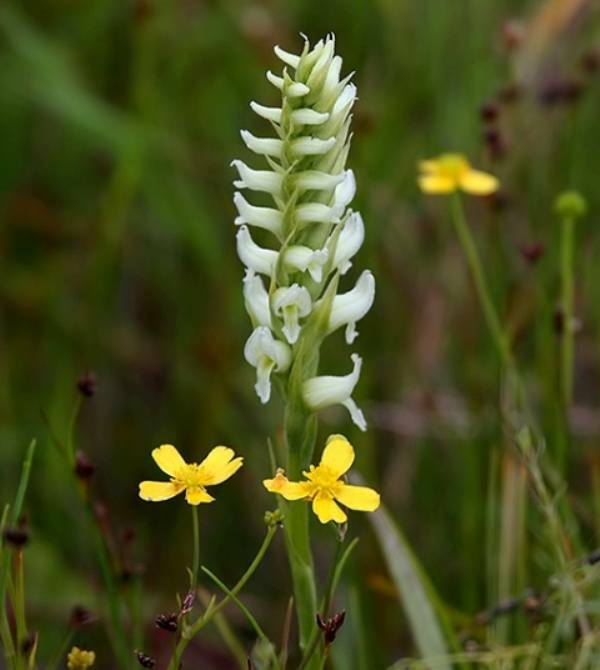 Hooded Ladies-tresses is not present in Europe other than the very restricted areas mentioned above. Perhaps the location of the sites relates back to pre-glacial times when America and Ireland were a single landmass, or at least united by a massive ice sheet. It is also possible that seed was transported from one place to another by birds or animals, of course. 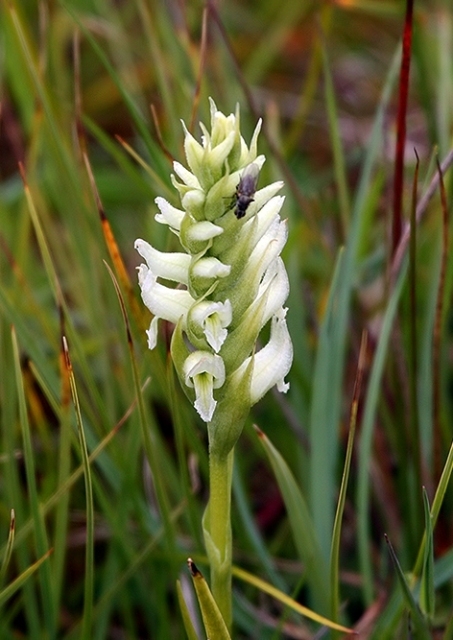 In Ireland there are records of populations of Spiranthes romanzoffiana in the extreme southwest in the Bantry Bay area, around Lough Allen, Lough Neagh and Lough Corrib. 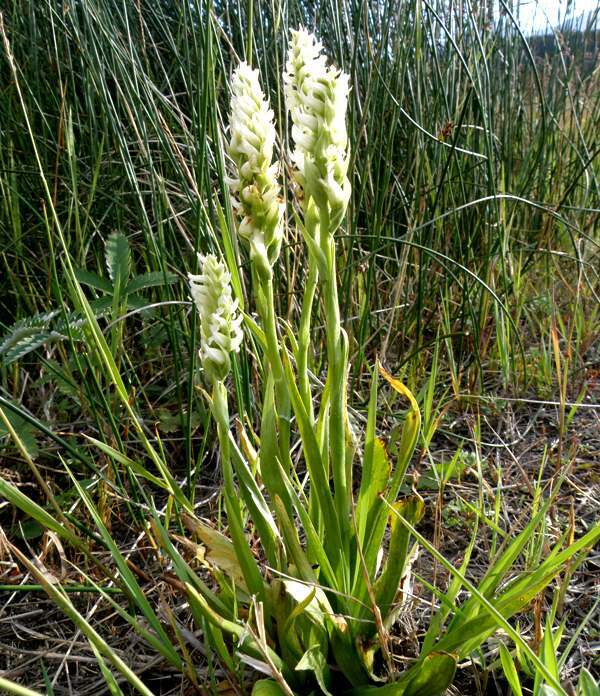 In all cases the orchid grows in boggy places that would be subject to seasonal flooding. In Scotland, on the Isle of Colonsay, the number of Irish Lady's-tresses has increased to several hundreds as a result of fencing off the areas where they grow in order to protect the plants from sheep grazing. Ironically, the sheep grazing was increased in response to another conservation imperative which was to protect and increase the islands Chough population. Choughs are in steep decline due to habitat destruction and feed on various types of dung beetles which live in short sward grasslands. 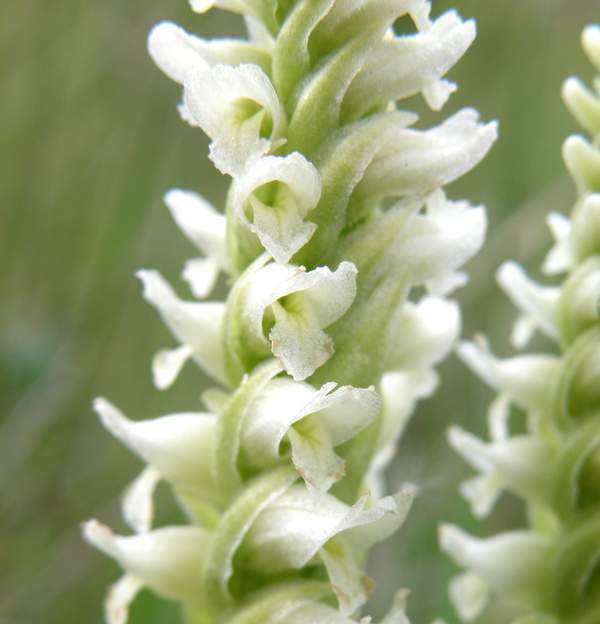 Unlike Spiranthes spiralis (Autumn Lady's-tresses) which grows on chalk-based short sward, Spiranthes romanzoffiana, like Goodyera repens (Creeping Lady's-tresses), grows in more acidic damp and boggy ground around lakes and on river banks. All the examples that we have seen in America have been on river banks which would be submerged during flooding from mountain snow-melt, and which retain moisture well into the flowering cycle of the plant. 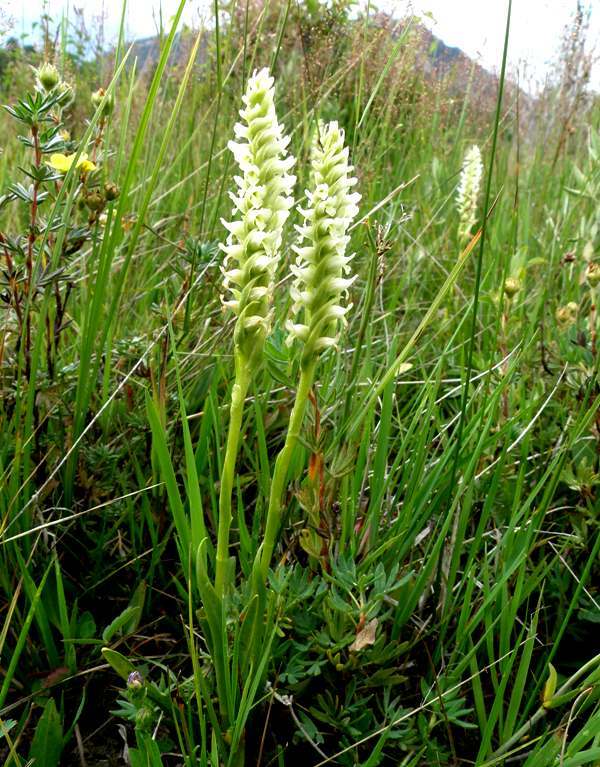 The flowers of Hooded Ladies-tresses are greenish-white and open in a triple spiral up the stem of the plant which creates a somewhat conical-shaped spike. In the British Isles this orchid flowers in August, but in North America it can sometimes be found from early July onwards although much depends on the timing of spring. Hooded Ladies-tresses in Yellowstone National Park which occupies parts of Idaho, Montana and Wyoming, for instance, flower earlier than those in the Rocky Mountain National Park in Colorado. The specimens shown on this page were photographed in the Rocky Mountain National Park in Colorado, USA, in early August, and in County Leitrim, Ireland.